We would like to encourage internal users to submit pilot programs (short telescope time of 20hrs or so) as long as telescope time is availble. Please submit one page scientific justification with a coversheet at any time. We would like to call for proposals using TRAO (Taeduk Radio Astronomy Observatory) 14-m telescope for the term of 2018 autumn - 2019 spring. Recently we successfully installed a multi-beam receiver system, SEQUOIA-TRAO, and renovated most part of the telescope system. The new receiver system is now equipped with high-performing 16-pixel MMIC preamplifiers in a 4 x 4 array, operating within 85-115.6 GHz frequency range. System temperature ranges from 170 K (86~110 GHz) to 400 K (115 GHz; 12CO). The 2nd IF modules with the narrow band and the 8 channels with 4 FFT spectrometers allow to observe 2 frequencies simultaneously within the 85~100 or 100~115 GHz bands for all 16 pixels of the receiver. 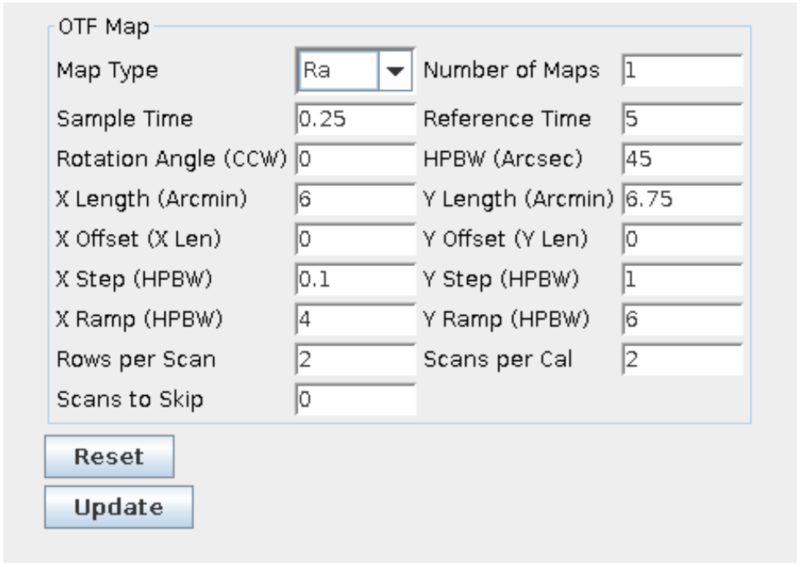 OTF (On-The-Fly) mapping mode is the main observing mode, and a simple position switching mode is also available. OTF test observation shows that it takes 27 minutes for 6’ x 6’ region, and 37 minutes for 10’ x 10’. You may decide the regrid size and convolution parameter after completion of your observation. Pointing accuracy is about 6 acrsec. The backend system (FFT spectrometer) provide the 4096 x 2 channels with a fine velocity resolution of better than 0.05 km/s (15 kHz) per channel. Its effective spectra bandwidth is 60 MHz. There are three Key Science Programs (KSP) running for three years, abstracts of which are accessible at the TRAO home page. Proposals which are not overlapped with KSPs are encouraged. Please refer the TRAO homepage for KSPs and other information. There are lots of telescope time available between LST 10 and 15 hrs, thus proposals using this time slots would have more privilege. The upper limit of telescope time per proposal is suggested as 100 hours. Scientists who did not have an observing experience at TRAO, are encouraged to have an internal collaborator(s) of KASI (Korea Astronomy and Space Science). Two bedrooms and kitchen are available for outside observers. Deadline for proposal submission is August 31st 2018 (KST 23:59; UT+9). We recommend to use MSWord, or alternatively, you may use any other word processing tools. These parameters will be updated in Dec. 2016, further observations will be made in order to find details for new TRAO receiver systems. Beam sizes are calibrated with 86 GHz Rleo and Orion continuum data. Aperture and Beam efficiencies are measured from Venus and Jupiter continuum data observed at March 2016. Note. Overhead time will be varied upon your reference position. Cell size means the regridded pixel size of output data using OTFtools for CLASS and FITS files.